Fiberglass shower surrounds can yellow over the years, becoming an unattractive blemish to an otherwise appealing bathroom. Instead of replacing the entire shower, you can bring new life to it by painting the fiberglass. 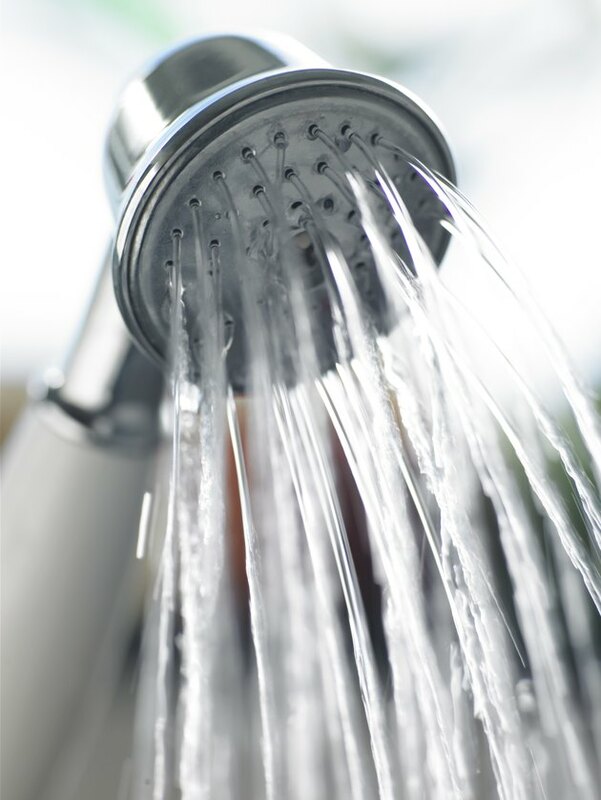 Use enamel paint, which is waterproof and stands up well to the moist conditions in the shower. Enamel paint comes in many colors and can be matched to your current bathroom decor. Repaint an ugly fiberglass shower surround to restore beauty to your bathroom. Wash the entire fiberglass surface, using a strong surface cleaner and a rag to remove any built-up soap scum or other residue. 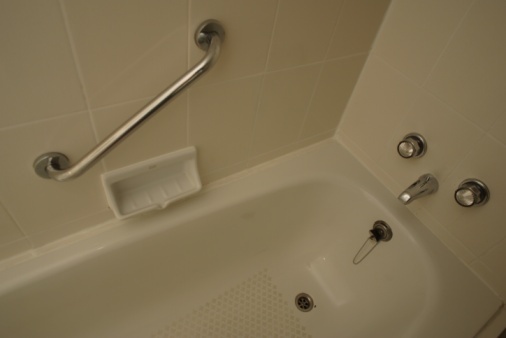 Cover the floor and walls around the shower with plastic sheeting held in place with masking tape. Put on a dust mask to protect your lungs. Sand the entire fiberglass surface with 100-grit sandpaper and a palm sander to prepare the surface for primer. Re-sand the fiberglass with 200-grit sandpaper to refine the surface. Wash the fiberglass with acetone and a rag to remove the sanding dust. Apply additional masking tape over the faucets, knobs and drains to protect them from paint. Apply a coat of spray primer to the fiberglass surface. Allow the primer to dry completely, then lightly sand it by hand with 300-grit sandpaper. Wipe the surface with a clean cloth to remove the sanding dust. Apply a second coat of primer. Allow it to dry and sand it as you did the first coat. Apply two to three coats of enamel paint to the fiberglass, either from a can of spray paint or with a paint gun. Work 10 to 12 inches from the surface and apply the paint in long, smooth strokes to prevent drips. Paint from the top down. Allow the paint to dry for 24 hours, then remove the tape and plastic.